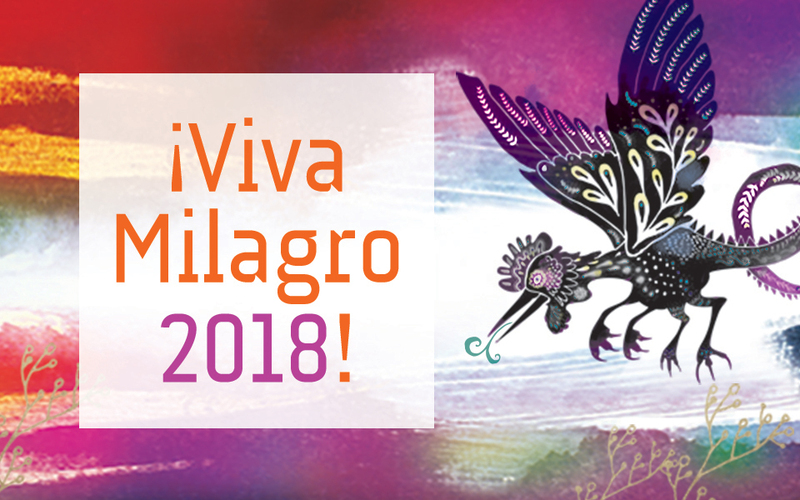 Home » ¡Viva Milagro 2018! A spirit-filled Día de Muertos celebration with friends to benefit Milagro. Join us on October 30, 2018, for our annual fundraiser ¡Viva Milagro! in conjunction with Día de Muertos. This ever-popular event features a uniquely prepared Oaxacan dinner from Portland’s beloved Tamale Boy founder Jaime Soltero, exquisite wine from Casa Bruno, an exclusive performance from Oregon Symphony conductor and music director of the Metropolitan Youth Symphony, Raúl Gómez-Rojas, a silent auction of unique Mexican Art, raffle items, and most importantly, a room full of Milagro friends and supporters. Milagro’s Dañel Malan along with Sherman and Rosa Floyd will also delight our guests with a special performance. We hope to see you at our biggest celebration of the year!